Rumor has it: Rumors cast members Patrick David and Andra Whitt have shared the PPF stage in a past production. 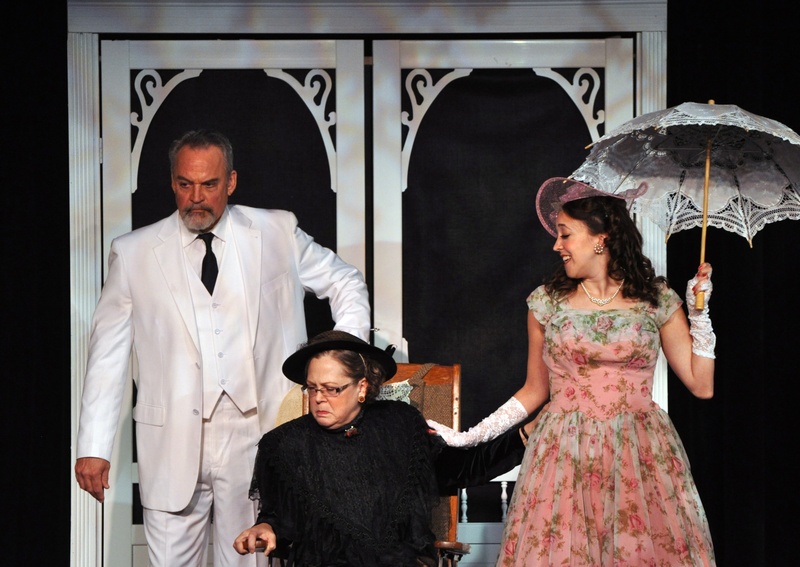 Shown here with Smitty Connolly (center) as Mother Burnside, Patrick and Andra played Beauregard Jackson Pickett Burnside and Sally Cato McDougal in the PPF 2011 production of Auntie Mame directed by Jayne L. Victor. Patrick and Andra will be on stage together again in Rumors. Jayne will be doing set decoration (with Ali Zaikouk) for Rumors. Auntie Mame was one of PPF’s best attended productions….Rumor has is, so will Rumors be! Order Tickets today! Rumors opens at the James Lee Community Center Theater, 2855 Annandale RD Falls Church 22042 on May 30th for a three week run. Tickets are on sale now here.